I’m at the best resort in Bonaire and I’ve decided to sleep outside. I can’t get enough of the view, the sound of the waves, and the smell of the ocean. 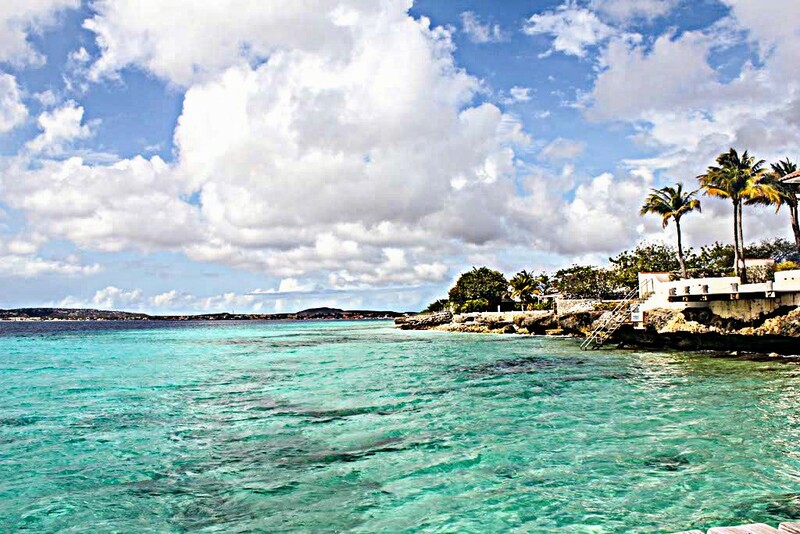 I arrived at Bellafonte Bonaire today and I don’t want to leave. Even when my kiteboarding lesson was canceled because of low winds, I wasn’t disappointed. I’ve never found a place that captured my attention more than adventure, but Bellafonte takes the cake. Get a look at that view! 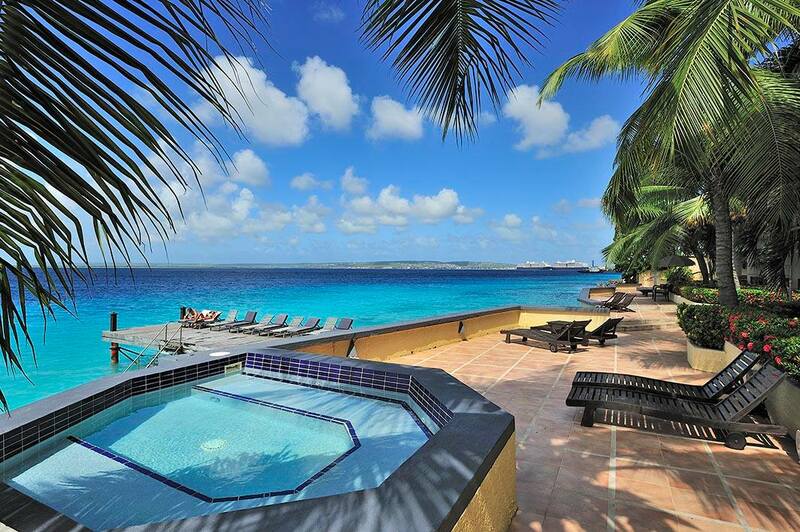 Bellafonte Bonaire offers Utopia in a private setting. 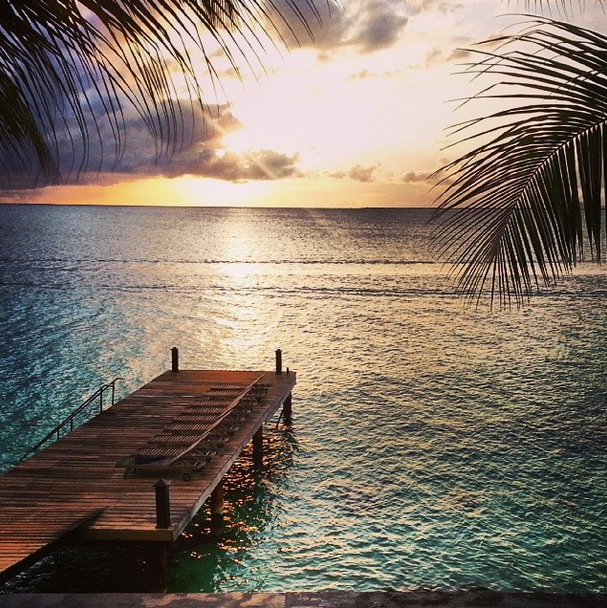 It’s a retreat with ocean views from every suite and direct access to the warm and inviting waters of the Caribbean via a picturesque dock. When I was shown to my room, I felt like the mistress of a Columbia drug lord; only the drug cartel could visit a place like this, right? It has a fully-equipped kitchen with granite countertops and stainless steel appliances. The tastefully decorated living room incorporates real wood and authentic artwork and the massive, master bedroom has a balcony with a to-die-for view. I was thoroughly impressed, but when I looked outside my mouth dropped. Was I in a dream? 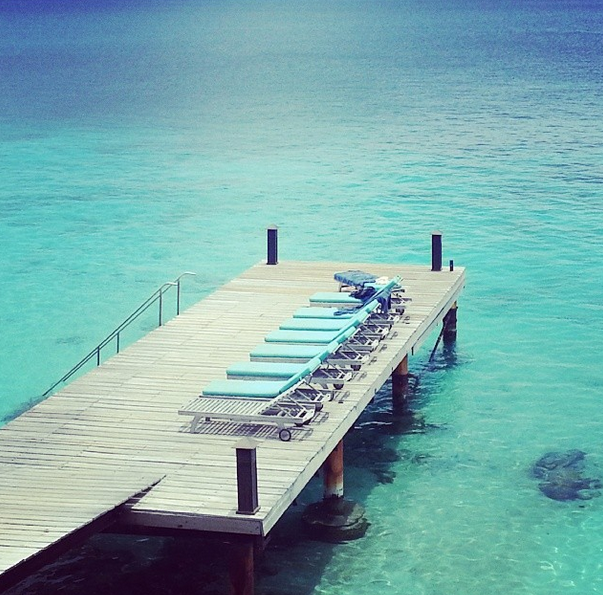 The dock was a turquoise paradise with lounge chairs and crystal clear waters. All I could do was shake my head. Rather than wasting another minute, I went down and jumped in. I stayed in the water all day, sometimes using a mask and snorkel to see the fish and other times just floating on my back and looking at the blur between the ocean and the sky. I must have jumped from the dock 20 times with a huge grin and excitement bubbling over. When the sun started to go down and my fingers were cold and wrinkled, I stayed on the patio in my wet clothes and a towel. I couldn’t go inside. I didn’t want to blink and miss it. The sun has gone down and the darkness set in, but I can’t imagine the beauty that awaits when the sun rises again and hits the water in the morning. I managed to pull one of the smaller couches outside and I’m going to sleep out here. Sometimes we’re given the opportunity to see something in our lives that is too spectacular to waste.